HDPE Woven Fabric offered by us found vast application in varied areas. We ensure that our products serve the purpose of clients in an appropriate manner. Material and machinery used in manufacturing of our range is of top quality and can be availed at reasonable prices. Customers’ demands and needs are kept in mind while designing the entire product range. Established in the year 2002 at Mumbai (Maharashtra, India) We “Welpack Industries Private Limited”, are renowned manufacturer, supplier and exporter of optimum quality array of HDPE Bag and Film, Tarpaulin Sheet, HDPE Woven Fabric and Agro Shade Net etc. 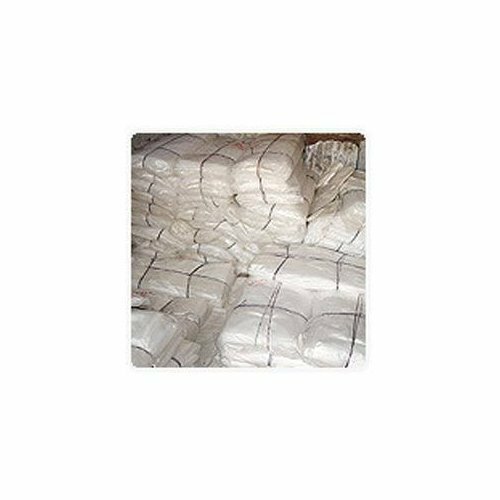 The offered range of bags is manufactured using the best grade basic material and innovative technology under the supervision of quality controllers in accordance with the set industry standards. These products are widely appreciated for high strength, perfect finish, water proof and tear resistance. Furthermore, we offer our product range in various specifications and can be customized as per the specific requirements of clients at affordable prices.